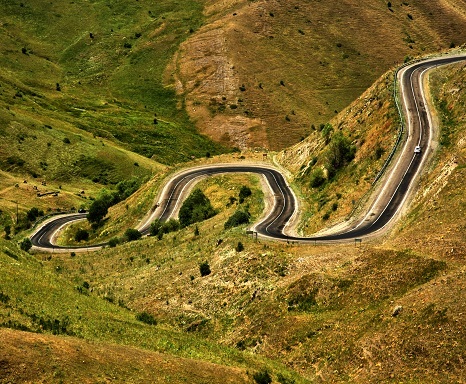 When the Republic of Turkey was declared in 1923; there were a total length of 18.350 km of road network; including 13.900 of macadam road and 4.450 km of dirt road with 94 bridges within our national borders. In the first years of the Republic, railway construction, which was the most modern technology of the period, gained importance, but after a while the railway was not enough by itself and the highway construction needed to be accelerated to reach the transportation goal of the country. Therefore, In 1929, The Headship of Macadam and Bridge was established under the Ministry of Public Works, and from then on, highway construction works was accelerated according to the National Highway Policies. As a result of the construction works between 1923 and 1947, the road network reached 43.743 km in total. In 1948, a major breakthrough was made in the field of construction techniques, then the period of road works based on digging up, shovel and human power were replaced by the industrial machines. 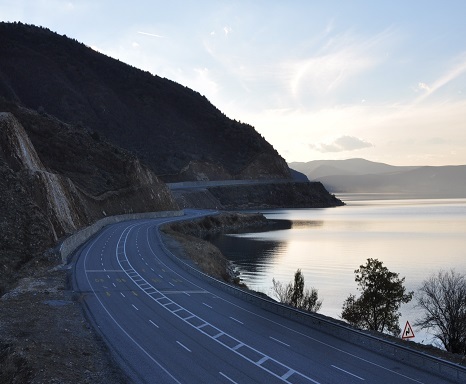 After taking inventory of existing routes of the time, a road network that would meet the needs of Turkey's transportation was specified and determined. In March 1950, The General Directorate of Highways (KGM) was established with the motivation that all these activities should be directed and managed by a dynamic organization within a certain plan and program framework with the contemporary and technical methods. Since its establishment, The General Directorate of Highways (KGM) has continued its planned and programmed duties in accordance with the determined highway policies, giving priority to the construction of new roads on the main routes as well as maintenance and repair works of existing roads in its first years. As a result of this target, the road network reached 60,000 km by the 1960s, and the emphasis was on the asphalt pavement between 1960 and 1970. With the development of the motor vehicle industry in the 1970s, the requirement of high-standard multi-lane expressways and motorways, especially in high volume traffic roads and large cities, came to the fore. In the 1980s, KGM initiated a new era to construct motorways with greater emphasis on high standards, in addition to accessibility-oriented highway works to provide better accessibility. 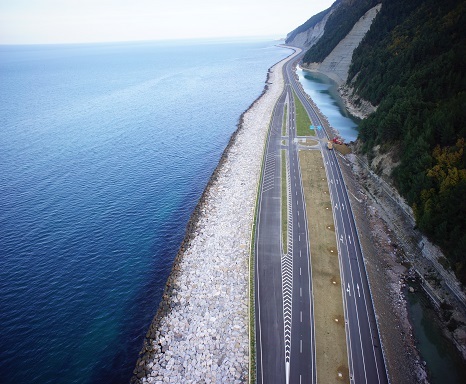 At the beginning of 2003, by determining the priorities of our country, speedy efforts were made on divided highway works based on the Emergency Road Action Plan prepared for road transportation, capacity insufficiency, national and international network integrity and traffic safety. 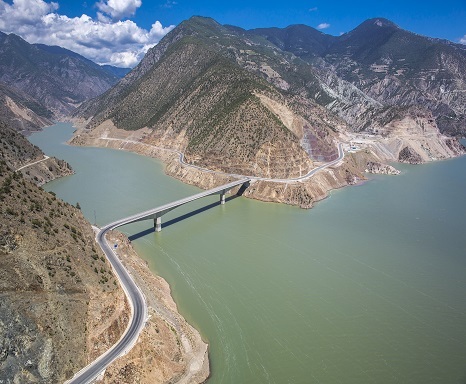 As a result of ongoing Divided Highway Construction Program, the length of multilane divided highway network reached 26.066km by June 2018. KGM, which was incorporated into the Ministry of Transport on 30 August 2017, was reorganized and restructured as an institution with its own budget according to "The Procedures and Principles of the General Directorate of Highways and the Regulations on the Organization and Duties " Law no.6001, which came into force under the Official Gazette dated 13 July 2010, number 27640. 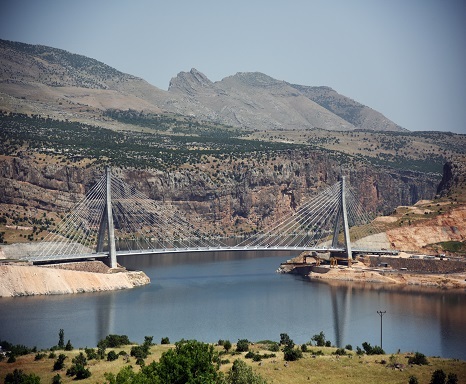 In the years following 2010, with the development of the road network by using alternative financial resources as well as public resources within the scope of the National Transport Policies, major projects such as İstanbul-Bursa-İzmir Motorway and Osmangazi Bridge, North Marmara Motorway and Yavuz Sultan Selim Bridge, Malkara-Çanakkale Motorway and 1915 Çanakkale Bridge, Menemen-Aliağa-Çandarlı Motorway and Ankara-Niğde Motorway have been initiated in the framework of the Build-Operate-Transfer System, which is a Public-Private Partnership model. The General Directorate of Highways currently has a total length of 67.839 km of road networks, including 2.657 km of motorways.